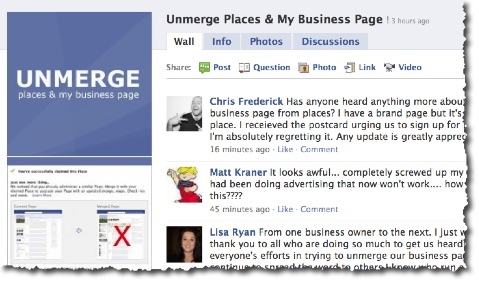 Should You Merge Your Facebook Place Page and Business Page? 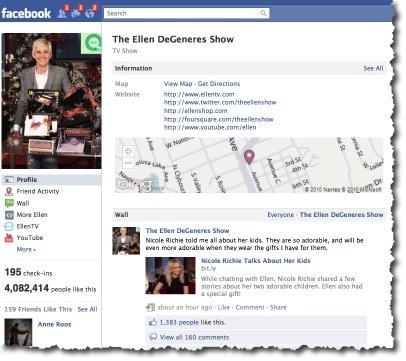 Facebook launched many great new products this year, not least of which was Facebook Places – which went live on August 18, 2010. Facebook Places is a terrific product for both local businesses and Facebook users alike, especially since the launch of Deals. 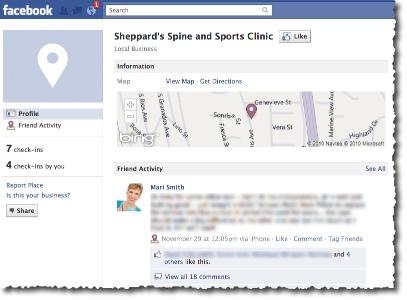 When a Facebook user checks in to a location using their iPhone, Android, BlackBerry or via touch.facebook.com, they are automatically connected to what’s called a “Place Page” for that local business on Facebook. The first time a venue gets “checked-in” to by any Facebook user, Facebook instantly creates a Place Page for their business. The owner of that business then has the burden of searching and finding the Place Page on Facebook and claiming the business. (Scroll to the foot of the Place Page and click on the link, Is this your business?). Once claimed, you have some editing control in terms of the profile picture and ability to publish content to anyone who has Liked your Place Page. With these new Place Pages, at first local businesses were justified in feeling overwhelmed at yet another piece of logistical management, on top of their regular Business Page, Community Page(s), Events, and possibly Groups. However, before long, Facebook offered the ability to MERGE your Place Page with your Business Page – assuming you had an obvious connection between the two. (In other words, if you have multiple locations with multiple Place Pages, you can’t merge all of them into one Business Page). Just like the new Profile layout, all your tabs disappear along the top and are now links down the left hand column. You cannot set a default landing tab – so all that work (and money) you put into having a beautiful custom landing tab and testing your conversion has gone to waste. The central focus is the Bing map plus links that were previously on your Info tab. Even for Facebook users who have liked the page, it’s not easy or obvious where to write on the wall. The page lands on “Profile” by default and users have to click “Wall” to be able to make a post. Does the option to unmerge make sense? Take a look through Facebook’s guide to Places – page five clearly states that the user is at choice as to whether they merge or not. There is a notification that comes up with a preview of what your new merged place will look like. For some businesses with a physical location – especially those taking advantage of the new Deals – a merged Page may prove to be more advantageous. Iron Horse Vineyards had their Place Page and Business Page automatically merged by Facebook, with no notice or option to do so. Iron Horse now offer Deals and are managing to train their fans to navigate and engage on the new merged Page. You have one central location to manage your Facebook fans and activity. You can promote Deals to entice more fans to come to your premises. You can appeal to those early adopters who are all into location based services and love to check-in (or you can educate them how to do so!). I’d like to hear from you! Let me know in the comments below your thoughts on the merging of Place Pages and Business Pages. Have you merged? If so, what feedback are you getting from your fans? Would you like Facebook to add the ability to unmerge?